Beauty however is in the eye of the beholder, and the original font used by Tauchnitz has now become the inspiration for a new font designed by a young graphic designer for his diploma. 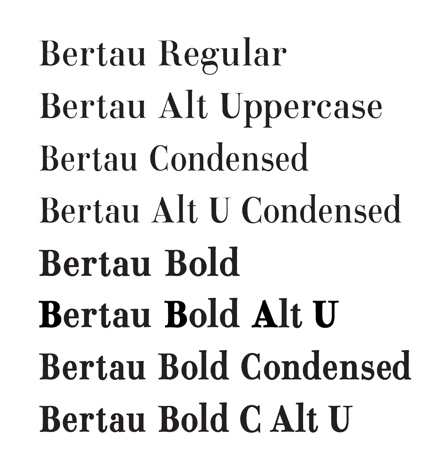 Examples of the Bertau font can be seen at http://jimi-neko.com/134431/1476231/gallery/bertau-font-family . It’s not really designed as a suitable typeface for novels, but for a variety of other uses, the new font has a distinctive elegance.